Here, I will mostly rely on the paper by Hanushek and Woessmann (2009) – Schooling, Cognitive Skills, and the Latin American Growth Puzzle. Note that in the following table by Hanushek & Woessmann (2009), they used the data up to SERCE 2006, not TERCE 2013. So the data are not exactly up to date, but the cognitive skills growths tend to be very painfully slow around the world, especially in the Latin American countries. I use this table below especially because their estimated data include Venezuela and Bolivia which never participated in any of SERCE, TERCE, TIMSS, or PISA. 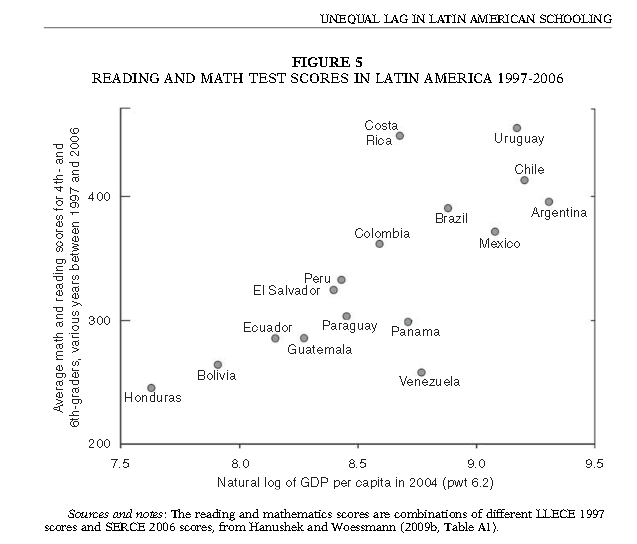 As both of Venezuela and Bolivia in the results here have the 2 of the 3 lowest regional math/reading combined scores in the entire Latin American countries, I felt that I could use the data provided here to persuade the governments of these countries especially while the overall Latin American countries are roughly ranging between C and F-1 in the international standard of math education if we set Germany or Canada as A countries, especially for the national math average. Due to the lack of the exclusively math data, I will just use the combined cognitive skill data of math and reading. 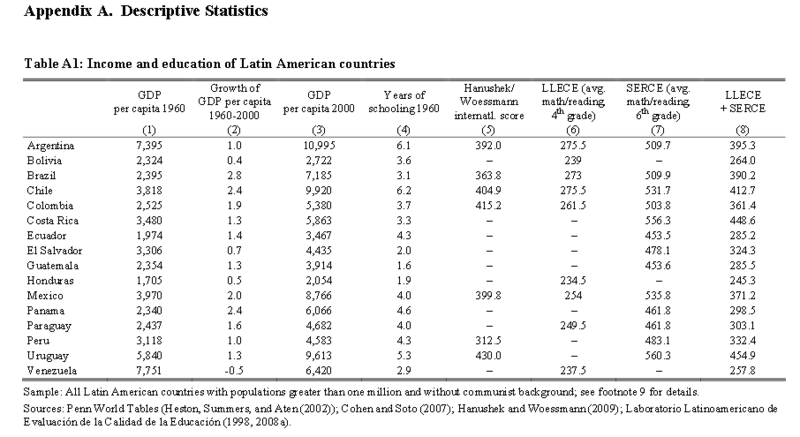 Source: Hanushek and Woessmann (2009) – Schooling, Cognitive Skills, and the Latin American Growth Puzzle.